In this paper we consider the problem of designing the gas bearing with forced gas supply under the excessive pressure into the gap between the stator and the rotor. Such bearings were called gas-static bearings (GSB). 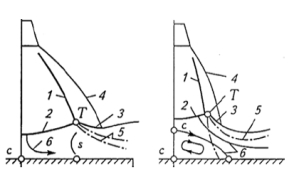 In this paper we consider the problem of designing the gas bearing with forced gas supply under the excessive pressure into the gap between the stator and the rotor. Such bearings were called gas-static bearings (GSB). Over the last few decades a number of countries are actively developing gas-lubricated bearings. Sufficient experience of creating such devices in small sizes was obtained. The analysis of the available scientific and technical literature on the design of gas-static bearings was made. Performed a brief comparison of gas-static, gas-dynamic and hybrid bearings. The method of calculating the bearing capability of GSBs was developed. 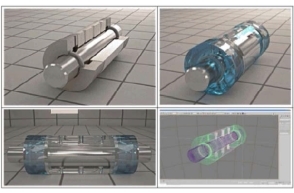 Treated the task of designing the gas-static bearings, intended for high speed rotation. 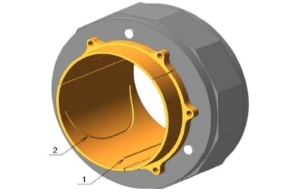 The purpose of parametric studies of gas bearings’ design is to identify the typical dependency of GSB load capacity on the pressure, temperature and flow of the working fluid. The basic concepts of gas bearings’ non-stationary modes: oscillatory and transient are given. 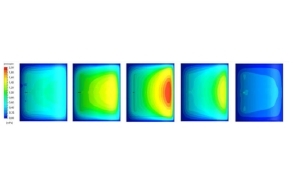 Brief information on the optimization of the shape of the gas bearing’s supporting surface is detailed.